Linguistics is a South London born and raised MC/recording artist. 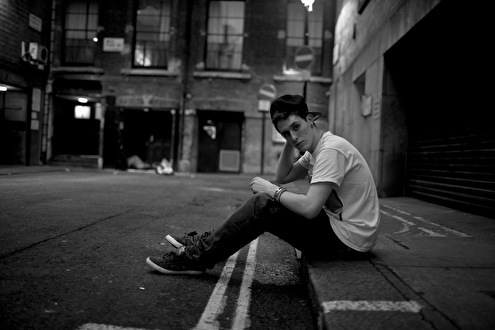 He began writing lyrics over garage/grime aged 15 after seeing 'Lord of the Mics'. Inspired by the likes of Jehst, Taskforce and other UK Hip-Hop veterans he began writing and recording his own music. In 2010, living in Bristol, he became heavily involved in the local D&B scene. He quickly made a name for himself performing across the UK with DJ's including Nero, Flux Pavilion, Netsky, Kamo & Krooked, Wilkinson, TC, Sigma, Rockwell, Koan Sound, Delta Heavy & many more. In 2012 Linguistics work and career as an MC took off when he was picked up by Friction, the voice of BBC Radio 1's Official D&B Show, to be his MC. Later that year he was voted 'Best Newcomer' at the Drum and Bass Arena Awards. Since then he has toured extensively alongside Friction playing shows across the world including tours in Australia, Canada and Japan and also a number of sets in Ibiza over the summer. As well as some of the worlds biggest festivals - Glastonbury, Global Gathering, Reading & Leeds, Pukkelpop, Tomorrowland, and main stage slot at SW4 to name a few. As well as continuing to tour with Friction, Linguistics is focussing on developing his own music, working with a number of producers from various genres. His 'Ups & Downs EP', released in summer 2013, is the start of a new strand to his fast developing career.